Jack London was a great writer from northern California – but did you know he was also a farmer? And he was one of the first to develop the philosophy of sustainability. London grew up on the mean streets of San Francisco and Oakland in the late 1800s. He never knew his father. Even as a boy he had to make his own way. He was a sailor, an oyster pirate, gold prospector, and a hobo before he was old enough to vote. He had tremendous drive to succeed and a talent for writing, which a librarian in Oakland discovered and encouraged. He wrote prolifically and in 1903 at age 27, hit the big time with The Call of the Wild, still considered a classic and a masterpiece. He made it his practice to write 1,000 words a day, and became the highest-paid writer of his time. 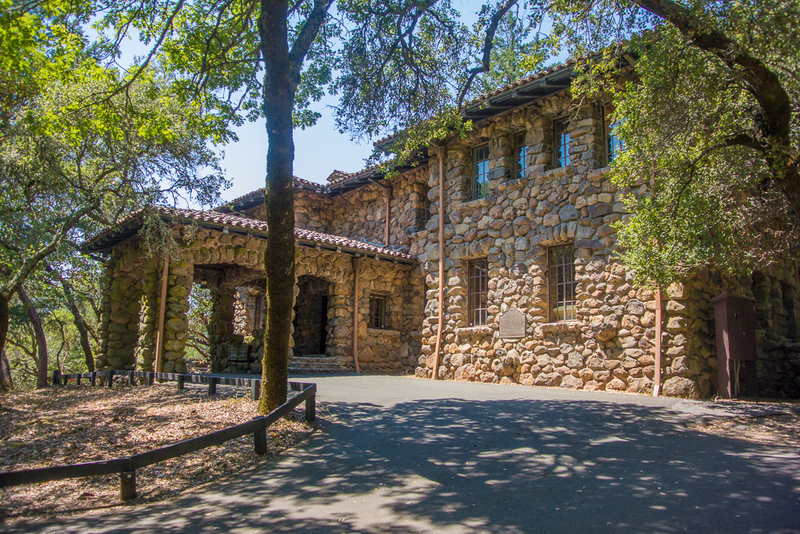 Around 1906 he bought a ranch in Sonoma county, near the village of Glen Ellen, as a hideaway and escape from city life. But he did not relax there. The land had been heavily farmed and the soil was exhausted. Jack London, still a young man, just 30 years old, began reading voraciously about natural farming techniques, a topic virtually unheard of at the time. He’d been to Japan and Korea, where he learned about terraced farming and natural fertilizers. He jumped into agriculture with the same energy and dedication he still gave to his writing, and experimented with organic farming and animal husbandry. He was a champion of more humane treatment for farm animals. And he was very successful. He created a sustainable farm and did it all in just 10 years with constant health problems; he died still a young man, just age 40. The world remembers Jack London as a wonderful writer. We should also remember him for his pioneering work in sustainability. He helped mold a farm philosophy that builds for the future. Previously published in the Western View from AgNet West.